A good definition of a superstition is “a belief or practice resulting from ignorance, fear of the unknown, trust in magic or chance, or a false conception of causation.” As data accumulate, taking megadoses of vitamins looks more and more like a superstition. Back in 2007, Dr. Larry Norton, a leading oncology researcher, gave a talk at the Aspen Ideas Festival that described vitamins’ cancer link. Listen to it all, but the relevant bit starts at 12:20 in the audio. 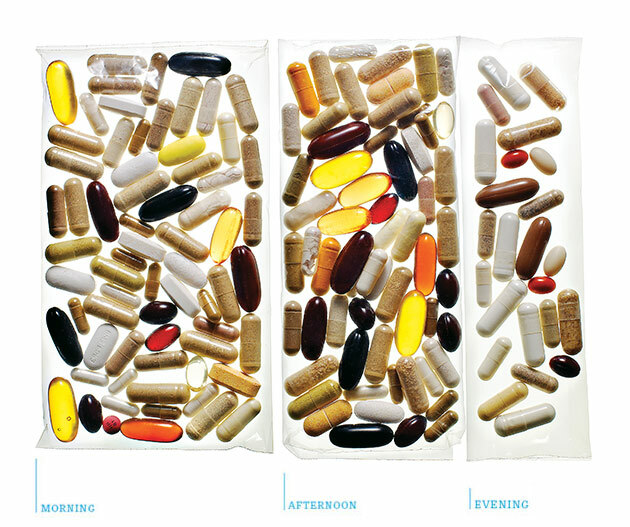 If you look at the entire world’s picture of published literature, vitamin supplementation shortens your life. Unless you’re vitamin deficient – in which case you should replace the specific vitamin you’re deficient in. It’s pretty hard to get vitamin deficient unless you have a malabsorption situation. Eating a good healthy diet and also taking a multivitamin is at the very very least doubling the vitamin level in your body… Imagine you doubled the water you drink, you’d be pretty bloated all the time… In some cases some of these super-vitamins that are out there are increasing levels 10, 20-fold of what’s considered an optimal amount in a diet at the present time. Cancer cells are your own cells. They’re just more metabolically active and can use those megadoses of vitamins to reproduce. As with many other myths, believing them can lead to dangerous consequences.